Believe it or not, January 15 is National Hat Day. It commemorates that one time George Washington wore a hat and killed a bunch of British guys. It was in your history book, towards the back, somewhere before crossing the Delaware but after chopping down that cherry tree. Ok, we're kind of making this up as we go along — but the important part is that this holiday really does exist. Point is, no one is really taking this "holiday" seriously, and neither are we. Although we're kind of late to the game, we wanted to get in on the fun anyway. Get prepared to mess up your hair. 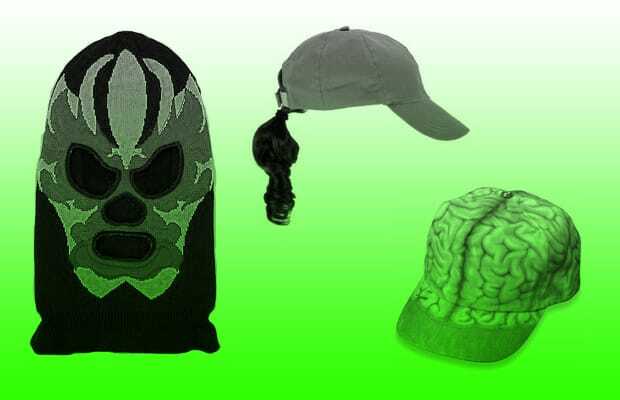 Here are 15 Hilarious Hats to Rock on National Hat Day.